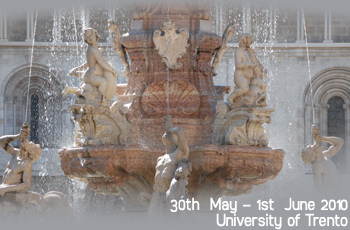 The 7th Annual Conference of the Italian Association for the History of Political Economy (STOREP) will be hosted by the Department of Sociology and Social Research and the Department of Economics of the University of Trento from May 30th to June 1st 2010. The special theme of the conference is: The shifting boundaries between public and private in economics. As with past STOREP conferences, proposals for sessions or submissions of papers concerning any other aspect of the history of economic thought are also welcome. Paper abstracts of no more than 200 words or a brief (≤ 400 words) description of theme, motivation, authors and paper titles for a session should be submitted to segretario@storep.org. The deadline for submissions is January 31st, 2010. The Scientific Committee will send notice of acceptance or rejection within February 20th, 2010. Completed papers will be due by May 10th, 2010.